When you are planning the biggest day of your life, it’s important that every little detail of the event, right down to the look and presentation of the entertainment, compliments the whole day. And it isn’t just important to you, but to Hong Kong Beat mobile disco as well, as I pride myself on focusing on and accommodating the client’s needs, whether it’s a wedding, reaffirmation of vows, or civil partnership. With 40 years of providing music solutions to all kinds of parties and events in Hong Kong, Europe and elsewhere in Asia; weddings included, Hong Kong Beat mobile disco is the solution for you, providing a comprehensive package of music, audio and lighting equipment, DJ and, if needed, event MC. Music is tailored to meet the needs of the clients and guests, being sensitive to different cultures and age groups, and I am happy to accommodate suggestions for required, as well as ‘no go’, music. With knowledge of popular music spanning more than 8 decades, as well as classical and opera, you can rest assured that Hong Kong Beat will have and select the perfect music for the day, without you needing to worry about the details. Should you have a need for specific music solutions, such as a medley of songs for the first dance – here’s one I prepared for a happy couple 🙂, Hong Kong Beat can construct a seamless, professional mix and provide it for you to practice ahead of the day. Examples of the wide variety of music I offer, and mixing skills, can be found on my Mixcloud page. 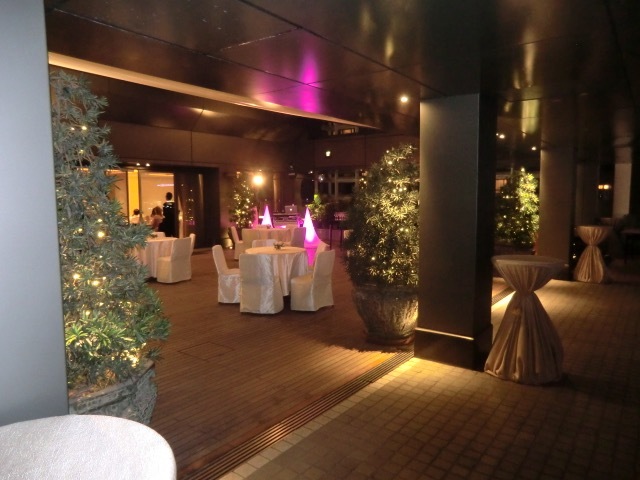 The Party and Reception packages are suitable for the typical sized Hong Kong venues, and by using only quality equipment and white back-lit screens, will look entirely at home with any theme or class of venue. Dance area lighting can be as simple as mood up-lighting and washes, or as vibrant as club-like ‘full-house’ lighting effects. If you just need someone to spin the tunes for your party, like an engagement or hen night, at a club or restaurant, then there’s a DJ package for that too! If you haven’t already visited, please take a look at the visual set up for an indication of the look and types of lighting equipment that may be included in the Party Package. If you have a need for more elaborate theatrical effects, such as whole room or entrance up-lighting, spot-lighting for the wedding cake, traditional mirror ball effects, follow spot for your entrance, wall drape star cloths, or the stunning ‘dancing on clouds’ effect with dry ice, no problem. I can accommodate all as additions to the standard packages and fee. So, I hope you will entrust Hong Kong Beat mobile disco with the important task of making sure that the special day in your life is also a fantastic celebration and party for all of your family and guests to remember. Smart, clean, professional look to complement the occasion and venue. adding subtle colour wash for Bride and groom entry at The Fur Seasons Grand Ballroom.